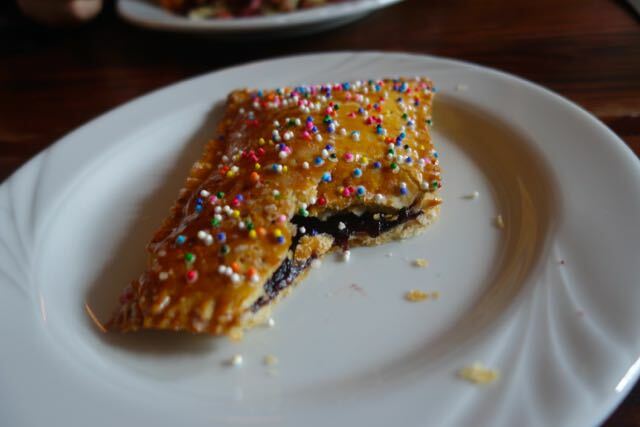 We started the meal out with a pop tart. I won’t lie, I was never a fan of pop tarts, but nonetheless I was transported back to Saturday morning and Scooby Doo as I dug into this thing. It was incredibly authentic. I love that pop tarts are starting to pop up around town. (See what I did there 🙂 Our whole meal was fantastic, but this was a very fun way to start the meal. Brunch appetizers? Does it get any better than that? 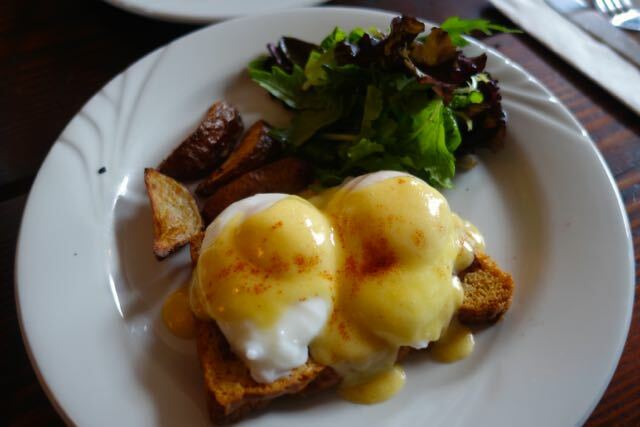 Great Eggs Blackstone, which is basically an Eggs Bennie and it is served on their beer bread. 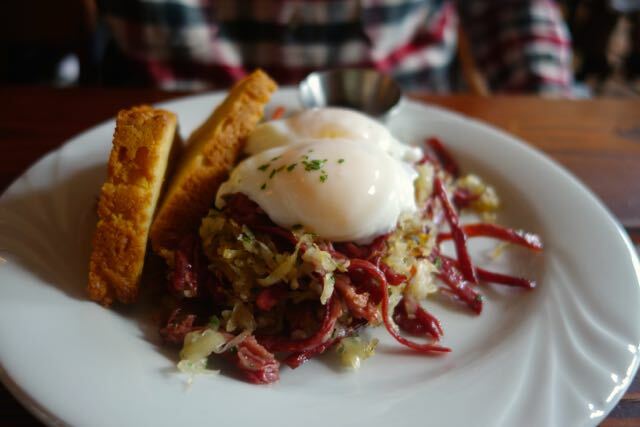 It does have an hollandaise sauce and theirs was great.Really, really good corned beef hash. The corned beef had an awesome flavor. Definitely a dish you must get. The beer bread was a real treat, very different. I really do like when the eggs bennies gets a little twist. This bread was also served along side the corned beef hash. Someone next to us ordered The Board, which had smoked trout, bread, cheese, granola yogurt and so much more. It looked fantastic. As a matter a fact a couple came in and they both ordered it. That should tell you something. I also saw the burrito go by and it looked rather large. Not a huge menu, but great variety. Atmosphere was a really great cozy space. You felt like you are transferred back in time when you enter here. Drinks were Red E coffee and Tazo Tea. They also had some great breakfast cocktails. For such a small place service was just ok.
Prices were good, but I can’t remember the exact price and it’s not listed on their site. 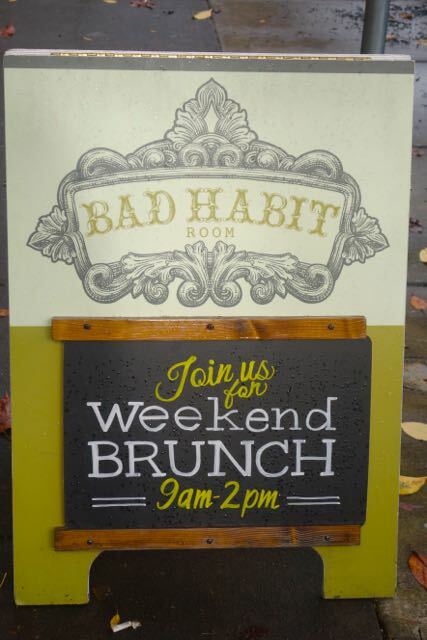 Bad Habit Room is located in NE Portland.